James Gordon Brown born 20 February 1951 is a British Labour Party politician, who has been a Member of Parliament (MP) since 1983, currently for Kirkcaldy and Cowdenbeath. Served as the Prime Minister of the United Kingdom and Leader of the Labour Party from 2007 until 2010. 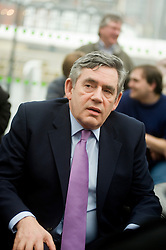 Brown became Prime Minister in June 2007, after the resignation of Tony Blair and three days after becoming leader of the governing Labour Party. Immediately before this, he had served as Chancellor of the Exchequer in the Labour Government from 1997 to 2007. His tenure ended in May 2010, when he resigned as Prime Minister and Leader of the Labour Party. Brown's time as Chancellor was marked by major reform of Britain's monetary and fiscal policy architecture, transferring interest rate setting powers to the Bank of England, by a wide extension of the powers of the Treasury to cover much domestic policy and by transferring responsibility for banking supervision to the Financial Services Authority. Controversial moves included the abolition of advance corporation tax (ACT) relief in his first budget, and the removal in his final budget of the 10% "starting rate" of personal income tax which he had introduced in 1999. After initial rises in opinion polls following Brown's selection as leader, Labour performed poorly in local and European election results in 2009. A year later, Labour lost 91 seats in the House of Commons at the 2010 general election, giving the Conservative Party a plurality and resulting in a hung parliament. 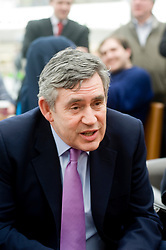 On 10 May 2010, Brown announced he would stand down as leader of the Labour Party, and instructed the party to put into motion the processes to elect a new leader. 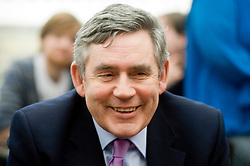 On 11 May 2010, Brown officially resigned as Prime Minister and Leader of the Labour Party. He was succeeded as Prime Minister by David Cameron, and as Leader of the Labour Party by Ed Miliband on 25 September 2010.